We all know about the Iris. 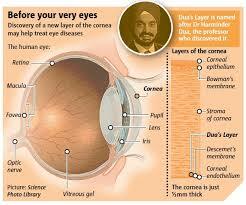 We all know about the Cornea. Yeah, we all know that the pupil is a part of our eyes! These are the usual parts of the eyes that we learned through our Elementary days. 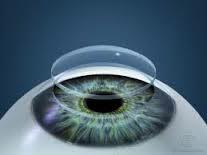 But did you know that just recently, a new part of our peepers has been discovered? Ladies and Gents, let’s all welcome to text textbook awareness: the Dua’s Layer. Discovered by Harmindes Dua of the University of Nottingham, he emphasized that there are many diseases rooting from the presence, absence, and tear of this layer. It’s just that it has not been thoroughly researched on before so no prevention has came to light just yet. The said layer is only 15 microns thick and was discovered through an electron microscope while air bubbles were injected in the layers of the cornea. This process is usually done during surgery. However it is classified to be one of the most sensitive operational procedures since popping one of the bubbles can actually result to permanent damage. Now, what is the bearing of this new discovery, you ask? 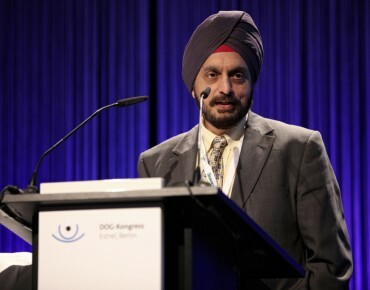 During sensitive ocular operations, protocol is to inject the bubble under the Dua’s Layer to avoid tearing which was overlooked before as just one of the natural risks involved in the operation. Hooray for invention! Although I feel bad for students who would have one more part of the eye to memorize. Sigh. This entry was posted in Health and tagged Cornea, dua's layer, electron microscope, Harmindes, Iris, ocular operations, surgery, tearing, University of Nottingham on January 31, 2014 by Nikki Babie. From time immemorial…or from that very moment you started following my blog, you would know how much I adore travelling to exotic places. With that, I’m delighted to tell you that today’s post is all about indulging in this whim. Croatia’s mysticism has captured me. 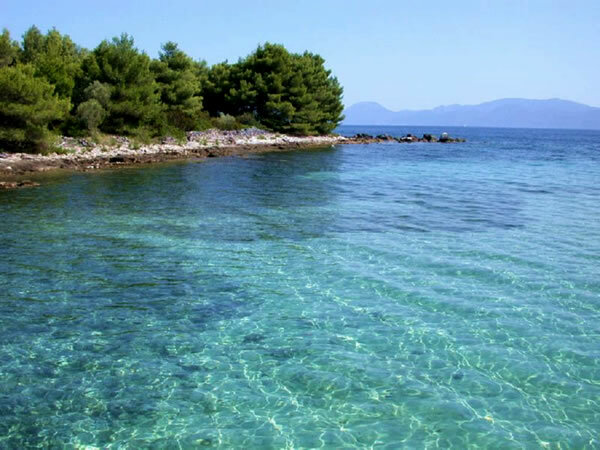 Imagine this Adriatic jewel surrounded by the luscious blue, endearing your senses until you, yourself, decide to succumb. 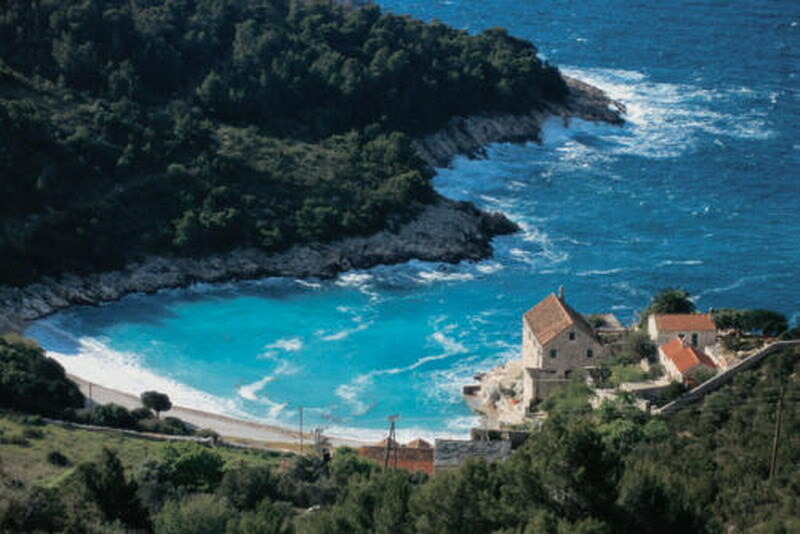 In Croatia, the best place to be is Hvar Island. The pristine clear waters can definitely take your breath away with its charm. Oh, and to truly appreciate the beauty of this wonderland, if you can, stay away from hotels. They tend to be all the same: food, scene, mattresses—the entire experience all scripted to a pulp. Crash in an apartment (I would suggest family-ran apartments so as to have that sense of security) and get that feeling that you’re one of the locals. Also, hire a scooter to go around town. With this, you can uncover treasures in the form of secluded swimming havens. You can even go up to the edge of the island where you can feel such serenity of being in command and in perfect balance. If your stomach decides to let you know its share of toil, a tiny seaside restaurant located 15 minutes via scooter away from Old Town would be perfect. The name of the place is Gego and in this place, seafood has never been this delicious. A must try would be their lobster spaghetti. After dining, a good drink would be much deserving. Find your way to Hula Hula Bar and indulge in chill music over the sea coupled with original shooters and cocktails. Finally, swimming. The visit on the island would not be complete without planning to enjoy the waters so head to the coastline and fulfill your fantasy. Scooter your way through Zarace –the shores are to die for! 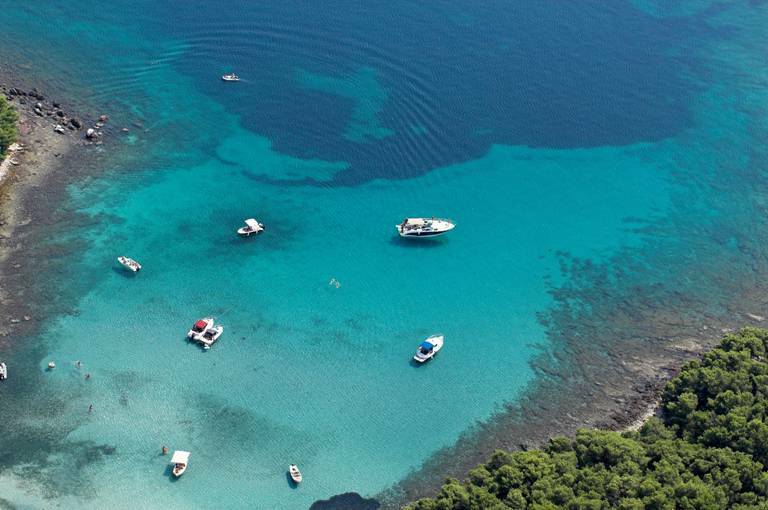 Croatia has a lot of pieces of paradise hidden up its sleeve. All you’d have to do is research and ask to unearth them. Surely, the travel time and all the stress in the preparation would all be worth it! This entry was posted in Travel and tagged Adriatic, beach, boating, Croatia, exotic, holiday, Hvar, islands, mysticism, nikki babie, ocean, paradise, rest, swiming, travel, treasures, vaccation on January 30, 2014 by Nikki Babie. Join me as I drool over Prada shoes. They’re elegant and absolutely a thing of perfect sin! For the not so financially capable, Prada magnifique is a loathsome affair. Imagine wanting to own one but never can?! Oh how we all wish Cinderella’s fairy godmother exists! 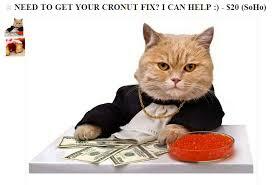 But we’ll manage to get you through my dear! I have here a do-it-yourself Prada-esque pumps! – Decide how much of the toe you would like to paint, then tape off that portion using painter’s tape. – Once taped, wrap the heel and inside of the shoe with a plastic bag or paper to shield it from the spray paint. In a well-ventilated area, spray the uncovered portion of the shoe with the red spray paint. Depending on the shade and opacity of red you want, you may need to apply a few coats. – Allow the paint to dry completely overnight. Then spray the exposed part of the shoe with a clear sealer, which will protect the color. Wait at least an hour to dry completely, and then remove the tape and plastic covering. Best of luck on your artwork! 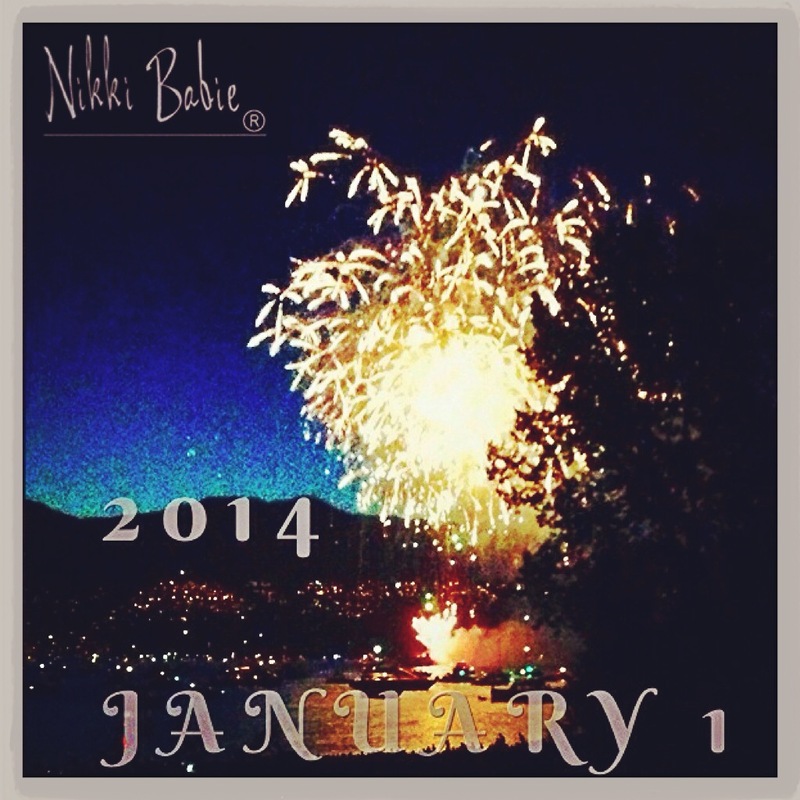 This entry was posted in Style on January 28, 2014 by Nikki Babie. A girl walks by and the first thing you notice about her is her matte red lipstick. It looks great on her, and you wonder if you would be able to pull it off yourself. Put those worries aside, because red is a universally flattering color and great for all skin tones. This baby is a sure-fire way to get you noticed, especially if you’re eyeing to hook up with someone. J Here are some tips on how to rock the red lipstick. First off, if you’re just a beginner and starting out in make up, buy yourself a lipstick from a drugstore brand so it won’t cost you too much. Revlon in Really Red is a really good buy. It has great color pay off and great pigmentation and most importantly, it will not burn a hole in your pocket. Second tip is to exfoliate your lips. If you have dry lips and you put on a red lipstick without doing this, the matte surface will only emphasize the dryness and will only result in wrinkled lips. Use a lip scrub or do it the homemade way by putting a sprinkle of sugar on your toothpaste and scrubbing it gently on your lips. Apply lip balm. Wait for the balm to set in your lips and then wipe it off. Yes, you need to wipe the balm off after it has done its job. Sometimes the balm affects the outcome of the lipstick and what you get is not really matte, but rather, shiny or glossy lips, which we do not want. Apply the lipstick and make sure that the color is evenly applied all over the lips and that it stays on the lip lines. You can use a lip brush or a lip liner in applying to achieve this. The great thing about the red lipstick is that you can wear this if you are too lazy or in a hurry to go out. Just keep the rest of your face simple and then you’re all set. 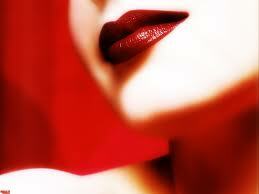 Remember, the red lipstick stands out on its own, so the rest of your face should be simple enough. You don’t want to end up looking overdone. You can tart yourself up, but still keep it classy. And lastly, fake it until you make it. Confidence is key here. Simply enjoy the attention and the looks you will be getting and once you’re comfortable enough with it, you can reward yourself by buying a high end red lipstick such as the iconic MAC in Russian Red. This entry was posted in Beauty and tagged beauty, exfoliate, glossy, lip balm, lips, lipstick, mac, makeup, matte, matte red, nikki babie, Really Red, revlon, russian red, style on January 26, 2014 by Nikki Babie. Exfoliating, like moisturizing, is an important beauty ritual in order to take care of your skin. It gets rid of the dead skin cells and results in a healthy, radiant, dewy glow on your skin. However, why would you have to spend a ton of money on posh spas and beauty products for exfoliants when you can actually make them from the comforts of your own home? A perfect example would be a homemade body scrub you can make from scratch with ingredients that are kitchen staples, readily available in your pantry shelves. A body scrub is so easy to make, you’d wish you’ve already thought of making one earlier on! You just need 3 of the following ingredients: the main ingredient is the exfoliant (coarse sea salt or brown sugar); the carrier oil, which serves as base liquid that holds the scrub mix all together (you can use extra virgin olive oil, virgin coconut oil, or sunflower oil but if you don’t have any of them handy, use baby oil instead); and the last ingredient is the essential oil for aromatherapy. Now here comes the fun part. There are no hard and fast rules in making a body scrub. You get to customize it according to your liking and add ingredients with whatever you fancy! 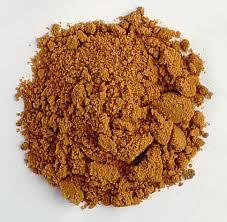 A classic recipe for a body scrub is the coconut and brown sugar body scrub with vanilla. In a mixing bowl, mix in brown sugar (exfoliant) with spoonfuls of virgin coconut oil (carrier oil), and then add vanilla extract (or an essential oil to serve as perfume). Mix the ingredients well and voila! You got yourself a DIY body scrub without hardly breaking a sweat. 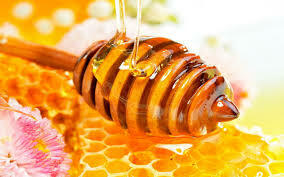 As a finishing touch, you may add in several drops of honey, or break down one of those vitamin E liquid gel capsules, and put it in the scrub for moisturizing and hydrating purposes. You also have the option of adding in baking soda to soften the skin. Put the scrub in a clean dry mason jar, print out a cutesy label and then paste it in the jar, and you got yourself a homemade body scrub! This is how fashionistas render their version of D-I-Y! Tell me what you think! This entry was posted in Beauty and tagged aromatherapy, bodyscrub, brown sugar, carrier oil, dead skin cell, Exfoliating, extra virgin olive oil, facial, massage, nikki babie, pamper, relax, scrub, spa, spa day, sunflower oil, treatment, virgin coconut oil on January 24, 2014 by Nikki Babie. The clamour and demand for the original cronut is so high that lines start to form as early as 5 am even though the bakery opens at 8 am on weekdays and 9 am on Sundays, with each person limited to just 2 cronuts if bought at the store. 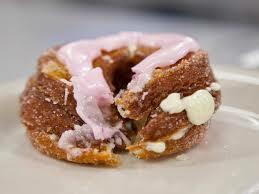 If you don’t want to go through the hassle of falling in line, there are scalpers posting in Craigslist and eBay offering ridiculously marked up cronuts, with some coming up as high as a 700% markup. One can only hope that this craze will all blow over in a couple of months’ time, so we can get our chance of getting a cronut without having to go through the long lines or the black market. This entry was posted in Food and tagged Cro-Dos, crognets, cronut, crullant, doussant, Michelin Dominique Ansel bakery, new york, nikki babie, nikkibabie, SoHo on January 22, 2014 by Nikki Babie. Ok, so you survived the ringing in of the New Year. You survived that moment when the clock strike 12 on New Year’s Eve and you find yourself in a sea of couples with no one to kiss it with. The holidays are now over, and it’s now back to reality and back to the salt mines so while your friends are busy planning out the next 365 days with anniversary and monthsary dates, Friday night date nights, weekend getaways, or even their own weddings, make sure that you don’t fall victim to sulking in a corner and pining over a past love. After all, the new year presents us a “tabula rasa,” or a clean slate, and more importantly, the new year represents possibilities— so here’s a nifty little guide to making 2014 your year. Have lunches, or brunches, or sleepover parties. Now is the best time to establish new friendships, and reconnect with old ones. It’s a great reminder that no matter how many relationships or break-ups you go through, there will be someone who will be there for you through it all. Travel is the only thing you buy that makes you richer. Step out of your comfort zone and realize there’s a big world out there and hopefully it’ll make you realize that you are infinitesimal in the grand scheme of it all. It’s not only an outlet for your emotions, but a documentation of your ups and downs. Sometimes you tend to emphasize on the negative that you cannot see the bigger picture of how life is beautiful. Having a journal will surely make you appreciate the small joys of life. When you’re single, you’ll realize that you want to focus on the things that you liked doing but couldn’t do when you were in a relationship. The key here, though, is to stop planning and just act on it. Don’t say “I will…” but actually pick up that phone or send that email to the photographer whose beginner’s course you’ve been wanting to join or take up that hobby you weren’t able to do so because the ex did not approve. A new dieting craze can be a way to deal with a break up but remember this, your reasons for dieting should not be because you wanted to get back on your ex. You should do this for yourself, and not for other people. Flying solo may be tough, but learning more about yourself makes it one of the most rewarding experiences of your life. This entry was posted in Entertainment, Self-Awareness and tagged “tabula rasa, bucket list, dating, fashion, fashionista, Gratitude Journal, guide, gym, nikki babie, single, Travel Alone on January 21, 2014 by Nikki Babie.